"If you don't forward it, you die." Six friends share something in common. They receive a chain letter, and if they don't follow the rules, they die. 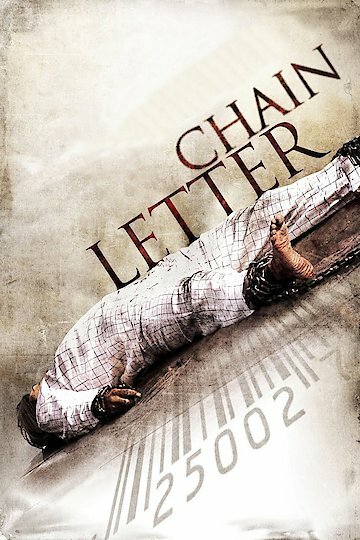 From figures at school that knock out teeth to a killer who whips his victims with a chain, this is a movie with a great deal of action from start to finish before the fate of the letter is revealed. Chain Letter is currently available to watch free on Tubi TV and stream, download, buy on demand at Amazon Prime, Amazon, Vudu, Google Play, YouTube VOD online.